The train ride from Sevilla to Madrid was 2 and a half hours and a really great experience. Given the choice between air travel and high speed train travel (toping out at 190 mph), I’d pick the train every single time. We began our visit in Madrid with tapas just near our Airbnb off the main square of Plaza Mayor which, in comparison to many other main city squares we’ve visited, was impressive only in its very large size. It was without a focal point like a cathedral, fountain or sculpture and the surrounding structures, while still very beautiful, was more of what we’d already been seeing throughout the rest of our trip. That afternoon we had reservations for an audio tour of the Royal Palace of Madrid. With our pre-booked reservations we got to skip standing in the long lines. The Palace was incredible! Again, I’m a huge fan of castle tours and this one did not disappoint. There were full dining rooms with full place settings and rooms with glass cases of royal china and cutlery. The audio tour did an excellent job sharing the importance of each room and pointing out special features and historical happenings that occurred there. The tour ended in the throne room which is still used today for special occasions. We picked another great Airbnb in Madrid so for happy hour that afternoon (and on the only evening it rained during our trip) we stopped at a local store for wine and cheese, opened our windows in our apartment and enjoyed the sound of the rain outside. And for risk of melting and because I had curled my hair… for dinner we simply walked downstairs to the restaurant below. It was a relaxing first night in Madrid. The next day began with a personal tour guide (one that Jeff booked through an independent website online ahead of time) of the Prado Museum. The Prado was something most everyone who had been to Madrid mentioned as a ‘must-see.’ And according to our tour guide, it’s better than the Louvre in France. We’ve not yet been to France, so we’ll take her word for it. Without our tour guide our visit would not have been near the experience we were given. 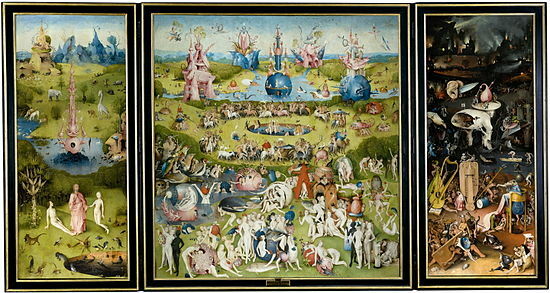 During our two hours I learned that the painting The Garden of Earthly Delights was a private painting for the king’s viewing only. The piece has three panels that close like shutters to a window that display one thing to others and when opened a picture of things not to be seen. To me, they were extremely futuristic and even now seen before my time. Another fun fact I learned was that there is a sister Mona Lisa painting. At the same time/setting that Leonardo DaVinci was painting the Mona Lisa, he has a student working along side him painting the exact same thing on canvas from the same hide. This painting is housed in the Prado and some say it’s better (crisper and more detailed) than his teachers. And my favorite painting from the tour was Christ Washing the Disciples’ Feet because the table in the painting is an optical illusion. My mind was blown. All in all, I totally understand what all the hype is about when people reference The Prado. After the tour in the morning we ate lunch at a Mexican-Spanish fusion restaurant that our tour guide recommended called Comala. It’s right around the corner from the Museum and was easy to find because it’s next door to the Ritz Carlton. I’m still thinking about the fresh guacamole and plantain chips. That afternoon we went hyper-tourist and walked all over the city covering El Reitro Park which included seeing Placio de Cristal and the Monument to Alfonso XII. The cooler weather was refreshing and I finally got to wear my leather jacket that took entirely too much room in my bag. We were visiting just after peak season to see the gardens in all their glory but found the park to be pleasant nonetheless. We ended our visit to Madrid (and our entire trip to Spain) with giant share plates of Paella. Jeff and I ordered seafood because it’s his favorite and we also ordered a tomato salad for the table. The salad was something I’d never had before that the waiter sold us on: beefsteak tomatoes covered in fresh olive oil, salt, pepper and tuna. I had no idea this was even a thing and loved every bite. 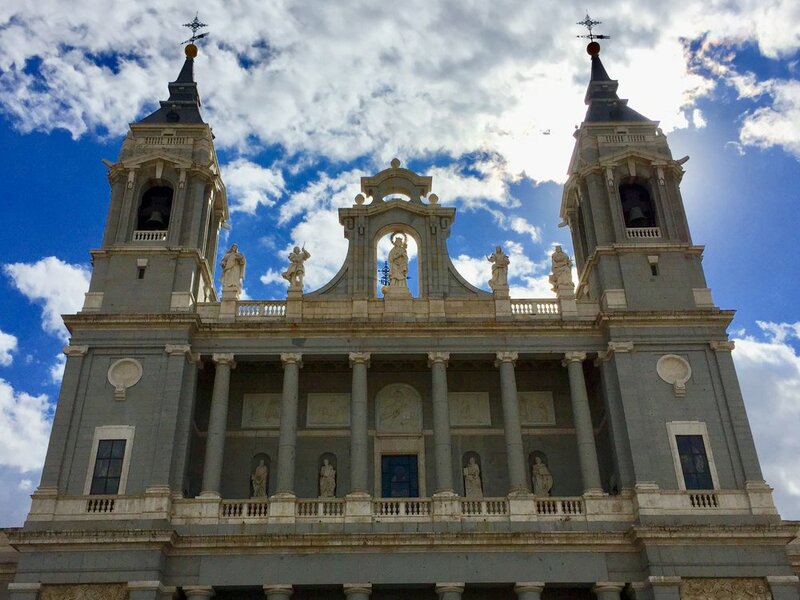 I’d like to end our Spain travel series with a set of notes: some tips, some observations. We loved our time in Spain and if you’ve never been, we wish you the opportunity someday. Buy all your tickets for things (tours, museums, train tickets, etc.) ahead of time. It’ll save you stress, time and money! Most Spaniards wear pants. If you see someone wearing shorts it’s a tourist. We wore shorts (because it was hot!) but if you’re into fitting in, pants all the way. Everyone smokes. Cigarette smoke is everywhere. Spain runs on average about 3 hours behind normal American time tables. Example: we might each dinner between 5:30/6p, they don’t eat dinner until 8:30/9pm. Furthermore, you’ll see young kids out much later than kids here in America. Strollers cruising down the sidewalk at 10p was a common site. Tapas are a big deal. Breakfast is light. Lunch is big. And dinner is Tapas! Spanish menus don’t carry a whole lot of fresh veggies or green salads. They are all heavy on fried food, rice dishes and meat and cheese. Sangria is common and it’s delicious! For the most part we found food and drink to be very reasonably priced. It is very easy to get between cities using buses, trains and short flights. Get the Rick Steves travel guidebook. He is our 5th passenger and we love him. And most importantly, don't leave home without your selfie-stick! My tired comrades. We totally pegged our fun meters.